Square Enix bringing re-imagined RPG to smartphones and tablets. 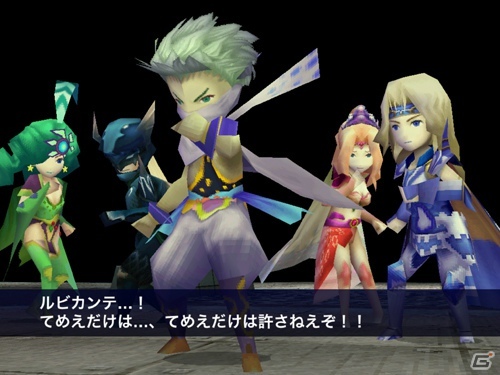 Role-playing fans have yet another classic Square Enix game to look forward to, as the publisher revealed plans to release Final Fantasy IV on iPhone and iPad December 20, with an Android version on the way next year. Based on screenshots, this is the re-mastered DS version of FFIV that debuted in 2008. Similar to Final Fantasy III DS, this edition features 3D visuals and full motion video cut scenes. Players can also expect improved audio and the option to select the difficulty. The game will cost $17.99.